Here is our latest installment of Hey Staffer! 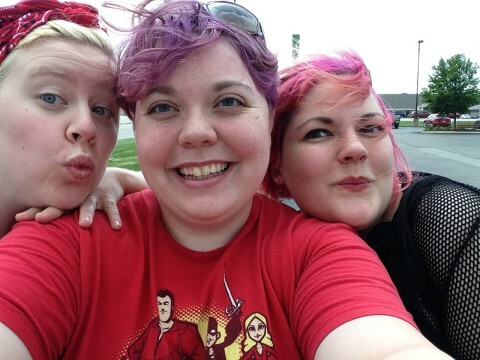 This month, we’re talking to Kathryn Storm, who runs all the video gaming events at GeekGirlCon. Kathryn has been with the organization for several years and geeks out over tech, cosplay, and of course, video games! Read on to find out more and to get a sneak peek of what we have in store for GeekGirlCon ’18! 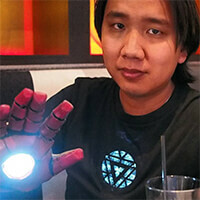 Image description: Andrew Chan wearing a glowing Iron Man hand. Here’s one last Hey, Staffer interview for the year. Meet Andrew Chan! Andrew is our merchandise assistant but also spends a lot of time dabbling with cool technology, fighting with lightsabers, and watching his favorite scifi shows! We ask him about what it’s like to be a Trekkie, technobabble, and the lengths he will go to for a good geek convention. Who are you and what do you do at GeekGirlCon? I’m Andrew and I help Shubz run the merchandise department. This includes climbing through stacks of boxes in storage to count our inventory, ordering new stuff, processing online orders (and getting the online store running), and helping set up and run the merch booth during the con. I’ve also taken over as an interim sysadmin running the internal infrastructure. 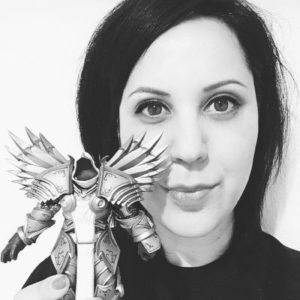 Resuming our GeekGirlCon staff interview series, we have Activities Manager Colleen O’Holleran in the hotseat this month! Colleen has a lot of thoughts about the horror genre, so if you want recommendations for TV, movies, and books, read on! For August’s Hey, Staffer! we interviewed Jill Lennartz. This is Jill’s first year with GeekGirlCon, but she has plenty of experience doing good for social justice. Check out our interview below! I’m Jill, and I’m the Cosplay Contest Coordinator with GeekGirlCon. I make sure the contest happens! I do everything from finding talented cosplayers to be our judges and host, organize how the contest will be run, to running it. What do you do for your day job/when you’re not being awesome as a GGC staffer? I work for a tech company called CA Technologies, which is pretty sweet as a techie myself! I’m not a programmer though; I went to school for chemistry and climate science. So what am I doing at a tech company and not some research lab? The *awesome* answer is that big companies are becoming seriously responsible. 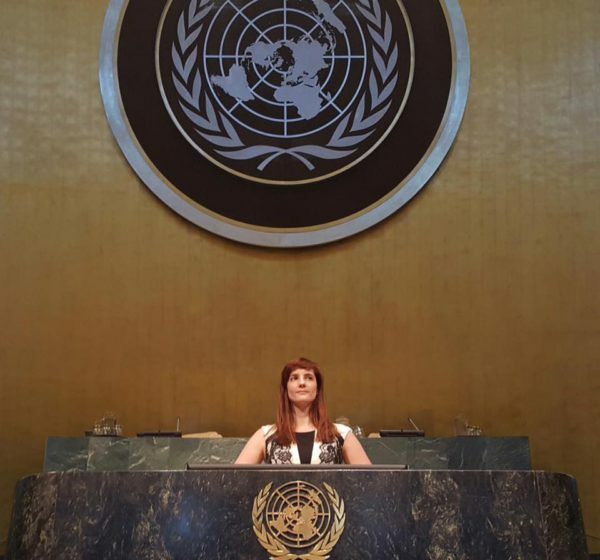 I work in a department called Corporate Social Responsibility – we make sure that the company is being socially and environmentally responsible and work really hard to improving in these areas every day. 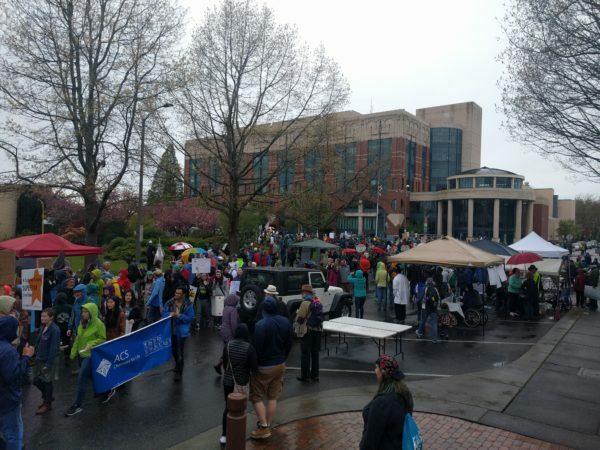 Some people on my team work with organizations to bring STEM education to women and underserved populations, and others focus more on improving our environmental impacts. 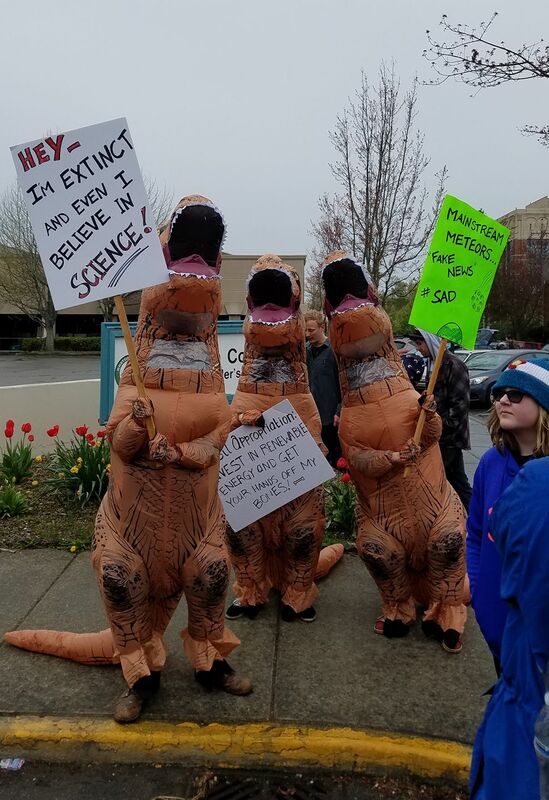 “Hey Staffer, Whatcha Geekin’ About?” is a new monthly column highlighting the interests and hobbies of GeekGirlCon staffers and Board of Directors. Find out about what makes us tick, what excites us, and what we’re really like when we’re not trying to run a convention. 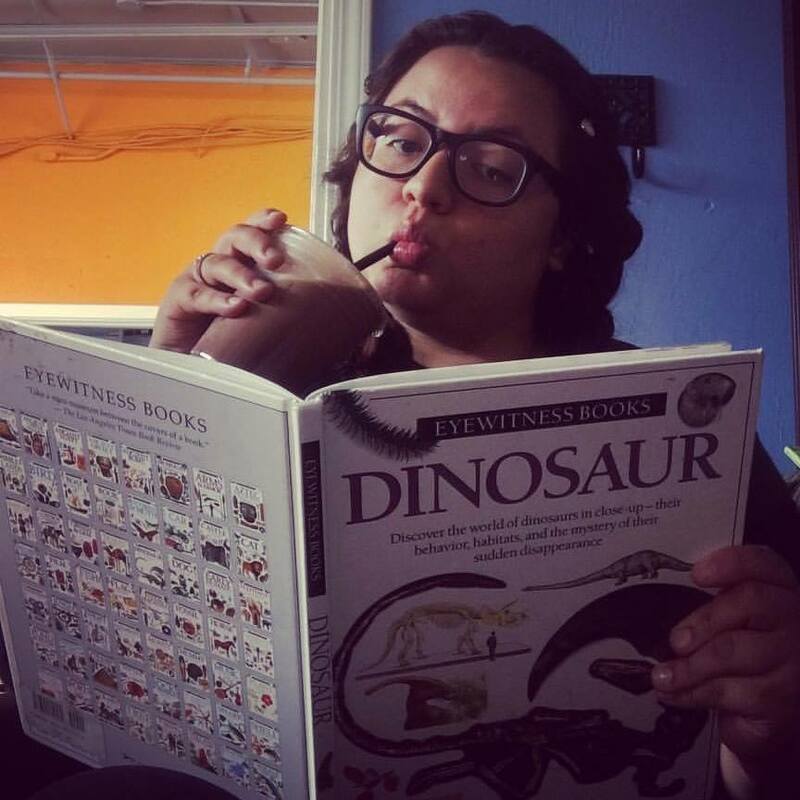 This month, we’re talking to Rabecca Rocha! Emily Willis: Arbitrary Muse evolved as a small comics company to encapsulate what we do when we sell our own self-published work and help to distribute other webcomics in print as well. Cassius is our latest project because Julius Caesar is my favorite Shakespearean play and I wanted to work on something inspired by it. On August 23, GeekGirlCon announced that Christine Blanch will be presenting a panel at the 2013 Con on her Super Massive Open Online Course (SuperMOOC), Gender Through Comic Books. 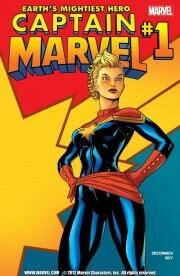 Expected appearances on the panel include Jen Van Meter, Mark Waid, Greg Rucka, and Kelly Sue DeConnick. I caught up with a few of the panelists to get you a preview of what you can expect when you attend the panel. I asked about the motivation for the course itself and why our panelists participated in the course. Van Meter: “I’ve known Christy Blanch for a few years now, and been an admirer both of her involvement in the developing academic discourses around comics as texts and also of her really innovative approaches to using comics as teaching tools in a variety of classroom settings. She’s got, I think, a really fearless and imaginative sense of how to use comics to invite student engagement and interaction with the topic and the text, and she has a passionate interest in comics as a fan, creator, and scholar. I would have been honored to be of use to her for any project, so when she asked if she could interview me for something as ambitious and exciting as the SuperMOOC, I was absolutely on board. GeekGirlCon ‘13 is a great opportunity for these amazing professionals to reunite and talk about some of the highlights of this innovative and popular course. I asked our panelists why they chose to bring a panel about the Gender through Comic Books SuperMOOC to GeekGirlCon ‘13. Van Meter: “It’s kind of self-evident that a course devoted to looking at how we talk about gender by looking at the way one of our popular art mediums—with a huge fan culture and quite a lot of influence on TV and Film—talks about gender seems to me the sort of thing a lot of [GeekGirlCon] participants would be interested in; there’s a lot of obvious crossover. Attendees of the panel will get to see how the comics industry professionals interacted with students in the MOOC. Blanch: “We will walk through the entire class and how it was presented. We will focus on the interviews somewhat as we have such great guests on the panel that participated in the course. 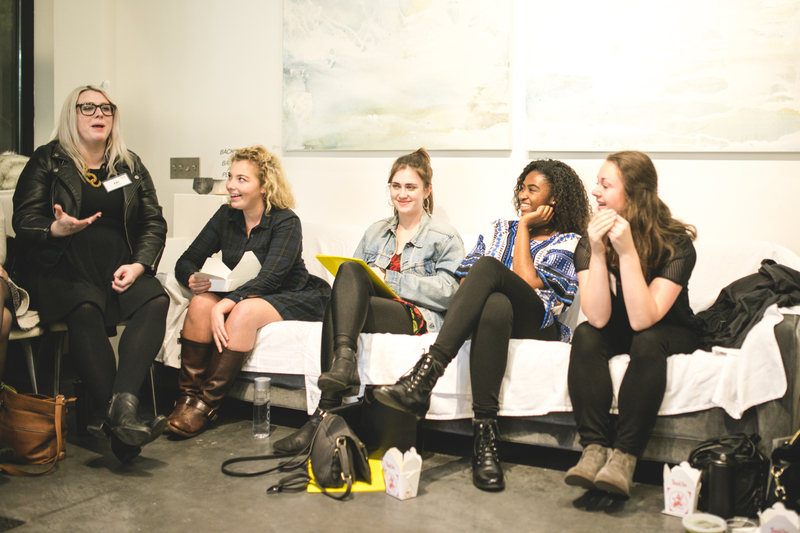 However, several of our panelists were also enrolled in the course, so we can get their thoughts about the material and the reaction in the comics industry. Each professional involved in the course had different topics to focus on. Kelly Sue DeConnick was interviewed for the course on a week entitled “Who is producing comic book culture?” and the theme was comic books as a medium of communication. DeConnick: “I guess I don’t consciously use it as a tool of communication because it’s not a dialogue. Hmm, there’s no way to talk about this without sounding wildly pretentious—yes, I understand this is not a high art, but I approach it as an artistic endeavor, and I try to make my stories about something. And even when I don’t try to make my stories about something, they tend to be about something. I tend to find there’s a theme I’m exploring whether I’m conscious [of it] or not. Anytime there’s something I have mixed feelings about, those tend to be my best stories, because it’s me turning it over in my head trying to figure it out. So I guess I don’t use it very well, as a method of communication! Van Meter has a strong presence in comic books’ counterpart manga. She explores a hypothetical situation of what a similar course on manga would look like. Van Meter: “With any text-based syllabus, figuring out where to draw the boundaries, just so you have something you can work with in terms of time, text-cost, reading burden, it’s so hard. I don’t envy the task Christy set for herself when she sat down to choose a reading list and a framework for the discussion. In general, Waid had a great time in his participation in the course. Didn’t get to participate in the SuperMOOC? Check out the panel at GeekGirlCon ‘13. Did you participate in the Gender Through Comic Books Massive Open Online Course? Hear details you may have missed ‘behind-the-scenes.’ Either way, there’s more to come from Blanch. Buy your passes today to be a part of all the excitement! The dreaded cover letter, it instills more fear in job seekers than any other part of the job search experience. But it doesn’t have to be so scary or terrible. I have broken down a few helpful tips to help make the cover letter experience more bearable. But first I would like to take a moment to stress the importance of a cover letter. Time and time again I have talked to hiring managers who are dumbfounded when they get a resume with no cover letter. Not sending a cover letter does two things: Firstly, it sends the wrong message to the employer. You are basically saying that your time is more valuable than theirs, or that you simply don’t care enough. Secondly, you are missing a valuable opportunity to sell yourself. A cover letter helps an employer get to know you beyond the resume. Cover letters are really a wonderful tool that can help differentiate you from the completion. So now that I have clearly convinced you to write cover letters, on to the tips! It is essential to have a flawless resume, but it is even more essential to have a flawless cover letter. If you have spelling and/or grammatical errors in your cover letter, the reviewer might just toss your application without even reviewing your resume. So proofread your work. A good rule is to set it aside once you’re done with it, and then proofread it a few hours or a day later. It is hard to see your own mistakes when you just produced something, so taking a step back will help you clearly see where you might have misspelled something. Again, just slow down and take your time. Make sure you address the right company. I have seen cover letters that have had the correct company in some sentences, but then a different company in other sentences. Big no-no! Make sure you know whom you’re addressing, and how they spell their name (e.g. GeekGirlCon, not Geek Girl Con). In addition properly addressing the company you’re applying to, make sure you stress why you want to work that particular company. Hiring managers want to know how you will help their company succeed. You should use your cover letter to tell the employer more about yourself, not to reiterate information that is in your resume. This is an opportunity to show your personality, and interest in their company and the industry. Try to tell an interesting story about why you’re interested in the industry, or why a particular strange job was actually a great way at developing x and y skills. I hope these tips help you create the perfect cover letter and land your dream job! Happy Hunting!